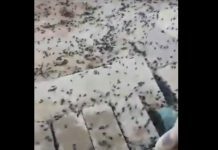 Yellow Fever Mosquitoes Found in Los Angeles County - New Epidemic? Ebola may not be the only cause of fear to arrive in the US recently. Yellow fever mosquitoes, responsible for dengue, chikungunya and yellow fever, have been found in the Los Angeles region. The yellow fever mosquito – photo above – has been found in Commerce and Pico Rivera. 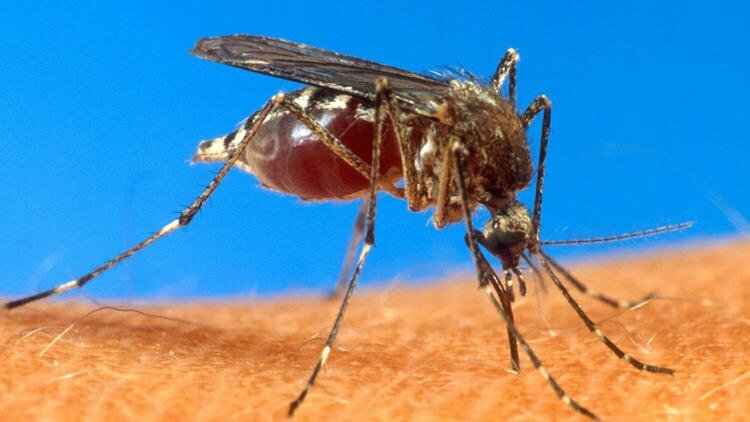 These mosquitoes can spread the three deadly tropical viruses to humans through their bites. End of September 2014, three San Fernando Valley neighborhoods have had nine or more mosquito samples test positive for West Nile. [quote_box_center] A new aggressive daytime-biting mosquito capable of transmitting debilitating and possibly deadly viruses has been found in the Los Angeles region, officials announced Wednesday. 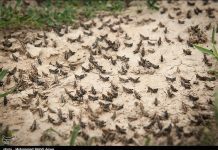 The Aedes aegypti species, which has black and white stripes and grows to about a quarter-inch in size, can transmit dengue, chikungunya and yellow fever — viruses that can cause painful symptoms including headaches and high fever, officials said. The yellow fever mosquito — which was first found in California, including in the Central Valley, in 2013 — is an aggressive daytime biter that thrives in urban environments, preferring small, man-made containers to lay eggs. 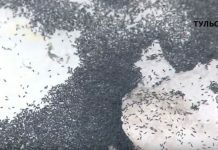 “We’re aggressively attacking the populations wherever we find them,” said Jason Farned, spokesman for the San Gabriel Valley Vector Control District. Ebola may not be the only cause of fear to arrive in the US recently.